Radiantly healthy skin, hair, feet, hands, eyes, and nails. Commercial beauty products make this promise every day and live up to it with varying degrees of success. Stephanie Tourles offers a better solution to everyone frustrated with the endless cycle of expensive, synthetic, famous-name cosmetics that often fall short of expectations. Take control of beauty treatments with homemade products that use safe, nourishing ingredients to pamper the body and soothe the senses. Tourles, a licensed esthetician, herbalist, and aromatherapist, has developed 175 recipes that are fun, simple, and immensely satisfying to make in home kitchens. Her natural beauty treatments deliver the results promised by department store brands — skin, hair, and nails that glow with vitality and inner wellness. Lotions, scrubs, toners, balms, and masks polish and balance the skin, soothe current problems, and prevent future ones. Shampoos, rinses, and conditioners tone the scalp, boost highlights, and leave hair soft and shiny. The book's whole-body coverage also includes recipes for hand and footcare, nail treatments, shaving cream, and even popular spa treatments such as microdermabrasion exfoliants, detox and cellulite soaks, ayurvedic oils, and herbal cold salves. Most important, there is never any doubt about the purity of these ingredients! Each formula is clearly presented in recipe style, with notes on prep time, storage, and uses. Many products can be customized according to personal needs, whim, or mood, and they all use readily available, natural ingredients. 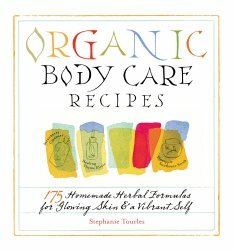 Organic Body Care Recipes is a natural treasure for every body. Fish Air Freshener Blank *NEW for 2019! White Diamonds Type *Limited Edition!